Another beautiful day in the Albany Region planned for you today. Today we head west to Denmark. Follow the South Coast Highway for about 50km before you get to the Denmark town site. Drive through the town for another 15 kms and turn left into Williams Bay National Park. 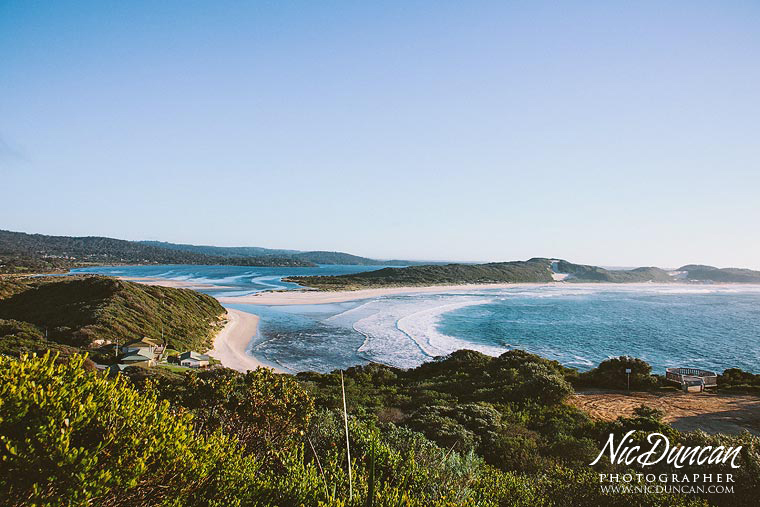 William Bay National Park covers 1734 hectares and includes Greens Pool and Elephant Rocks. Spend an hour walking along the beach, climbing across the rocks and take in the amazing view. This really is a magic spot and well worth the drive. While you are in the area visit Bartholomew’s Meadery, a small family run honey business, You will discover a passionate team of people working to produce the best Honey, Mead and Ice Cream available. The Toffee Factory, Bit on the Side and Elephant Rocks Cider is a must stop - Toffee & Brittles made with the finest ingredients in the traditional English manner from a timeless family recipe, adapted only to suit the Australian climate. Visitors can view the toffee making process daily and sample the goodies. 'a bit on the side' - gourmet sauces and preserves. Elephants Rock Cider - The cider revolution is taking Europe by storm! A new twist on an old favourite. From Great Southern apples & pears, our ciders are an easy drinking alternative for long, cool refreshment. Open from 9.30 - 4.30 daily. If you are keen and left your accommodation early enough continue along South Coast Highway to VALLEY OF THE GIANTS TREE TOP WALK. This famous area derives its name from the large red tingle trees which are found there and a new dimension has been added to this experience with the addition of the world famous Tree Top Walk. Enjoy a special lunch at Pepper and Salt Restaurant at Forest Hill Vineyards. Open for lunch Thursday to Sunday noon to 3pm. The Lake House Denmark cellar door, cafe and restaurant is the perfect place to stop for and to enjoy a complimentary tasting of their premium wines and gourmet VinoFoods whilst overlooking the trout filled lake. Open daily 11am to 5pm. The Old Kent River winery is located midway between Denmark and Walpole on the South Coast Hwy and is also home to the Slow Food Cafe. At the front door, is a large tank containing a few large examples of live Marron. Their menu comprises of only two options for a main course, Marron or Lamb. In Denmark visit Ocean Beach. This beach is a popular surfing spot with a lookout to watch the action. Walking along the beach to the east you will either find a sand-bar taking you to the Nullaki peninsula... or an open channel from the Wilson Inlet. Take some time to experience the Denmark River.. take a stroll or grab a pie from the award winning Denmark Bakery and just sit on the banks. Time to head back….allow enough time to enjoy some more of our gorgeous beaches. Take the Scenic Route back to Albany. Make time for a visit to The Bushfood Factory and Café. Award winners, unique, Australian, with all aspects of Australian native food herbs and fruits, from the plantation to the table. Check out their menu and bring home some take a way for dinner tonight. Turn down Cosy Corner Road and follow the signs to Cosy Corner. Shelley Beach in West Cape Howe is a beautiful beach along the waters of Torbay. The beach and lookout are located just south of Cosy Corner along Coombes and Shelley Beach. Roads. The lookout is worth a visit with its amazing views across Torbay and Torbay Head to the south, and of Torndirrup Peninsula, the Albany Wind Farm and The Gap across the water to the west. The Bibbulum Track crosses through this area, so if you are up for a walk, watch out for the sign, park the car and enjoy a walk along one of the longest walking trails in the world. Want to see one more beach? Mutton Bird Beach is worth a look. If it is Salmon season you can watch the fishermen bring in their catch. Follow the signs from Lower Denmark Road. We hope you enjoyed your day today. Remember your sunscreen, hat and take plenty of water.